SAFE to ship by Air! Simply spray this on your face mask shield. Foam particles wipe off with a rag. Apply another coating and keep going. Pays for itself very fast compared to face shield covers. Coat your gun, window frames, metal door frames - anything you want to foam to easily wipe off of. 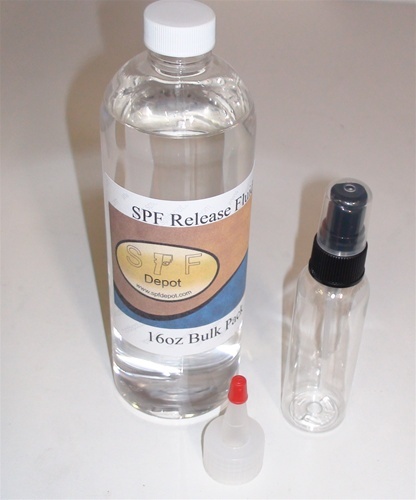 Special Release Formula that is safe for overseas air shipping.